Red Oak Gunstock Retro Stair Tread Closed 36" wide - Prefinished and ready to install - No staining or finishing required. Red Oak Gunstock Retro Stair Tread Closed 11.5 in wide x 36 in long - shipped pre-stained in Gunstock and then finished with our UV Cured Diamond Coat II - ready to be cut-to-size and installed as soon as you receive them. The price listed is per riser. If you would like us to put together an estimate to make sure that you have the best price, please contact us at 1-866-429-0979. How wide are these treads? I have gunstock flooring from Bruce, will this gunstock tread match the flooring I have? I have a big step in the middle of a stair, size 36 by 44, what should I buy to cover that area? 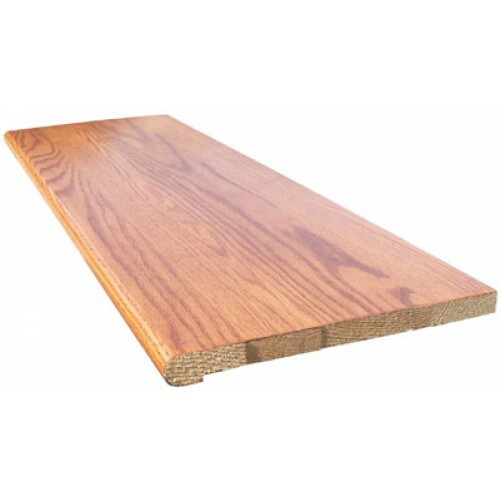 I have Bruce hardwood floor CB924, couldn't figure for sure if it's gunstock color or not so does your gunstock color match with that? Alternatively, you can install a landing tread along the edge of the landing and filling the space behind it with your prefinished flooring. 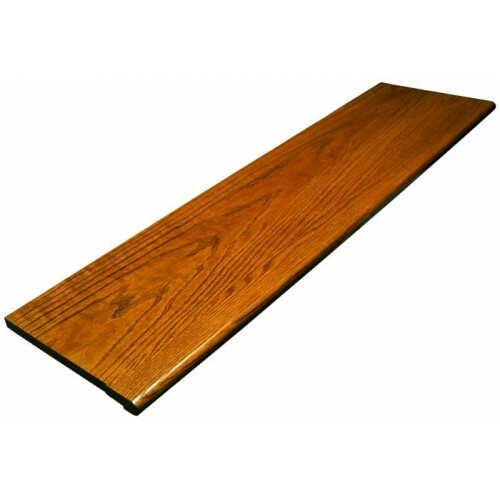 Sometimes landing tread can be called a stairnose or bullnose. What type of finish is used? Is it comparable to the Bruce Dura-Luster Plus? 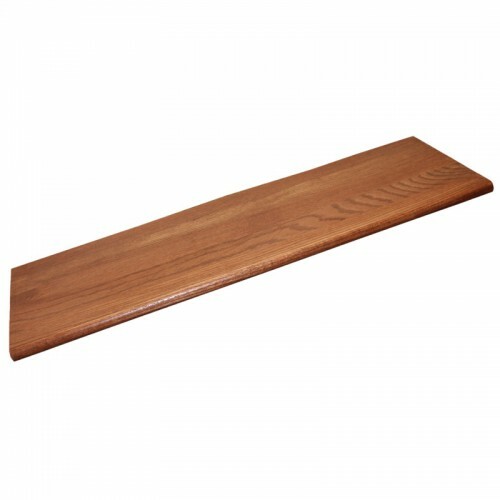 The County building code requires the all stair treads be of solid wood. Can you verify if they solid wood? Yes, This tread is solid oak. No veneers or different core material. 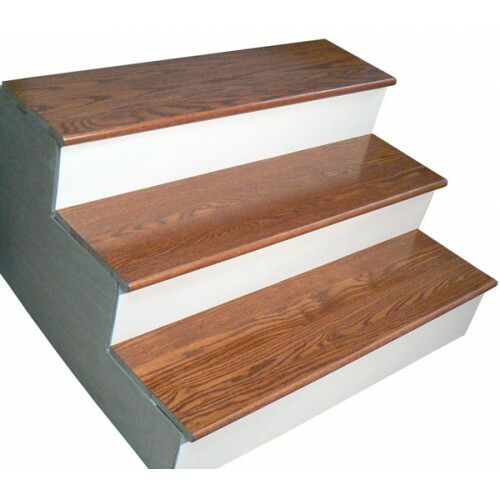 Do you carry a gunstock color riser for the back of the stair? If so, what are the dimensions? We do carry the Gunstock Retro Risers. You can find them at the link below. The dimensions of the risers is 1/4" thick x 7 1/4" wide. Some of my threads are a 1/4" over 36" will your 36" thread be cut long? We can only guarantee that the treads will be 36" long - in your case we strongly recommend moving to the 42" tread. If your existing treads are not perfectly square, they may require more than the 1/4" of extra material. A longer tread will be much easier to cut to the required dimensions in the field and can reduce installation headaches.